To introduce EDGE Diagrammer, we are offering a $129.95 SPECIAL LIMITED TIME OFFER for this version! Click here to order now! 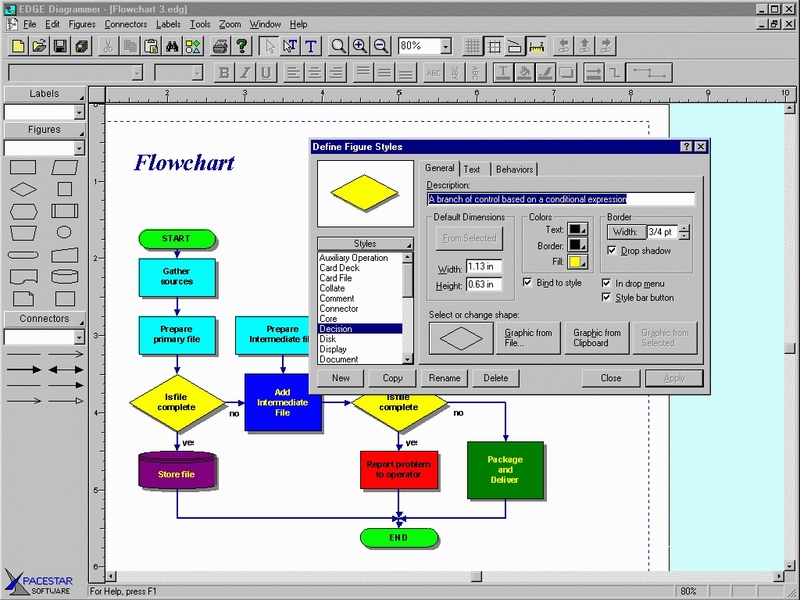 Professional diagramming and flowcharting tool that focuses on ease of learning and use. Create any type of block diagrams with shapes connected by arrows. Built in shapes and arrow heads, plus create your own. Contains many features only found in very expensive packages such as full zoom, OLE connectivity, poster printing, graphics import and export.